Want to increase your salon sales in 2018? Now is a great time to be in the beauty industry. Forbes reports beauty sales topped $445 billion this past year, and a 2017 survey shows the average American woman will spend around $300,000 on products to beautify their faces in a lifetime. In a world where social media is increasingly dominating how we spend our time, it's no surprise millennials are the most significant cohort of beauty product buyers, according to eMarketer. More of them like to purchase these products in person, more so, than online, which presents an opportunity for salon owners to expand their service offerings and increase their profits. One of the hottest beauty trends today is lash extensions, a service that clients love and that provides lash artists and salon owners with substantial returns because of the low cost of products. Makeup application presents another meaningful opportunity for salons, as clients are taking a cue from the perfectly made up faces they see in the media to achieve their own high-definition looks. Among the products in the beauty industry, makeup experienced the greatest sales growth, at 12 percent year-over-year in 2016. Having multiple high-quality services in one salon enables your business to grow more easily. Here are three services salon owners can add to their menus to increase salon revenue in 2018. Eyelash extension application gives clients a wide range of eyelash looks that add length and volume to their natural lashes. Looks can range from naturally enhanced to va-va-voom lashes, making eyelash application a completely customizable service to offer a diverse client base. Typically, an eyelash extension "full set," where lashes are applied for the first time to natural lashes, takes about two to three hours to apply when the full lash line is covered. Half-sets, or lashes applied to just the outer edges of the eye or in about half the quantity of a full set for a naturally full look, take about half that time. As natural eyelashes shed, every two to three weeks, clients will need to come back to the salon to get a "fill or touch-up" for their lashes. The lash extension artist will add eyelash extensions to natural lashes without eyelash extensions, for a look that is once again full. This process takes anywhere from 30 minutes to two hours, depending on if it is a classic, volume, or mini-fill. Lashes: Eyelash extensions are applied to single lashes, which means about 120 lashes from an lash tray like this are used for a full set, and about 60 lashes are used for a fill from just one of these trays. Eye pads: You can use one unit of 100 eye pads for 100 full sets or fills. Tape: One roll of tape lasts approximately one month. Brushes: Each pack of eyelash brushes can be used for about 50 clients. Don't be alarmed by the number of supplies. Check out this table that shows the cost to you versus how much you can charge per client. One artist can generate up to $700/day, $3,500/week, $14,000/month and $168,000/year! Not to mention, additional after-care sales of eyelash extension-safe products can generate up to $3,500 per month. The possibilities are endless when you add this service to your menu. Makeup application typically takes only an hour to apply to get a camera-ready look. When your salon uses exceptional makeup products, looks can last all day and all night, staying put perfectly. Costs range from approximately $60 to $150, depending on the time of application, materials used and services included. Additionally, some salons might charge less per person when a group comes in for makeup application, such as bridesmaids or family members. Your salon could add eyelash extensions to a makeup service to increase the price you charge. While lashes are beloved by many, not everyone can get traditional eyelash extensions due to allergies. Some clients will be allergic to lash extension products, and lash lifts are a healthy alternative for these clients who still crave long and full lashes. An eyelash lift involves only the natural lashes, not extensions that are applied. To be eligible for this service, the minimum natural eyelash length must be at least 10 mm. A lifting and setting solution is applied, which is similar to perming products but designed for lashes. A keratin treatment is a great add-on since it helps strengthen the lashes and allows you to add an additional charge to the service. This service typically takes about an hour, so less time than an eyelash extension application does. 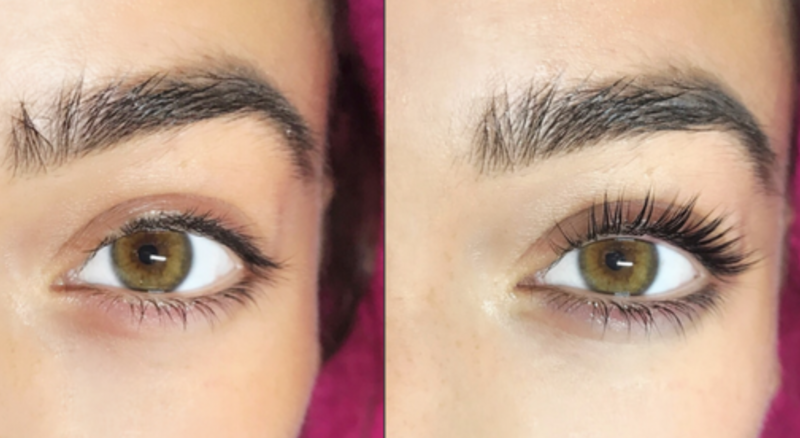 It costs around $100 and lasts between six to eight weeks, which gives salon owners the opportunity to gain regular clients who keep coming back to update their lash looks. Encourage clients to keep lashes healthy by offering a serum at retail in-between services, like the Lash/Brow Growth Serum. Adding these new beauty services like lash extensions, makeup application and lash lifts to your salon menu makes sense when salon owners consider the cost of education and supplies compared to the price of services charged. With eyelash certification training between $995 and $1300, you can make your money back in as few as 5 clients! 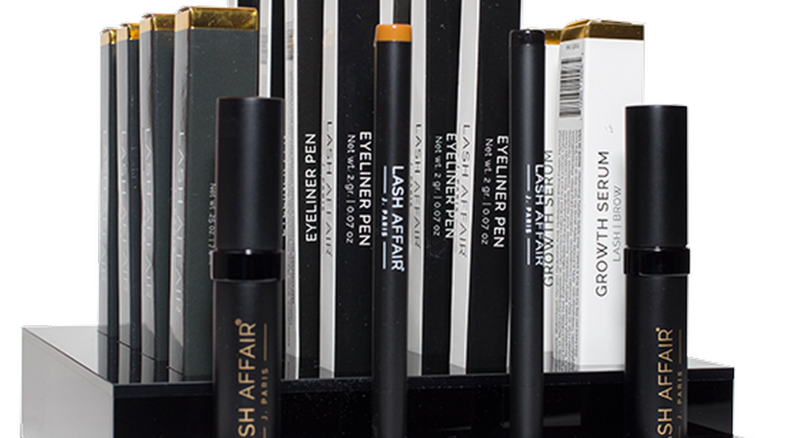 To learn more about affordable lash extension certification, visit the Lash Affair Academy page and find a class near you.